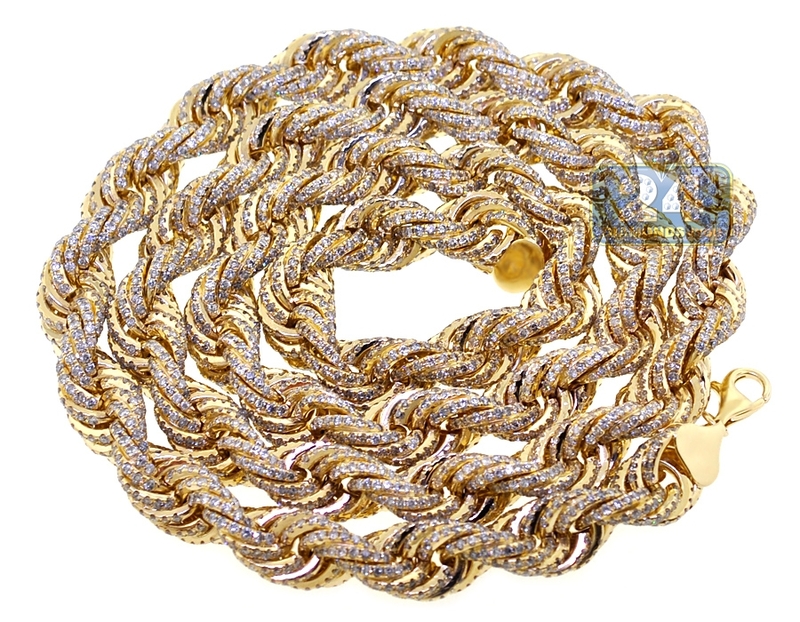 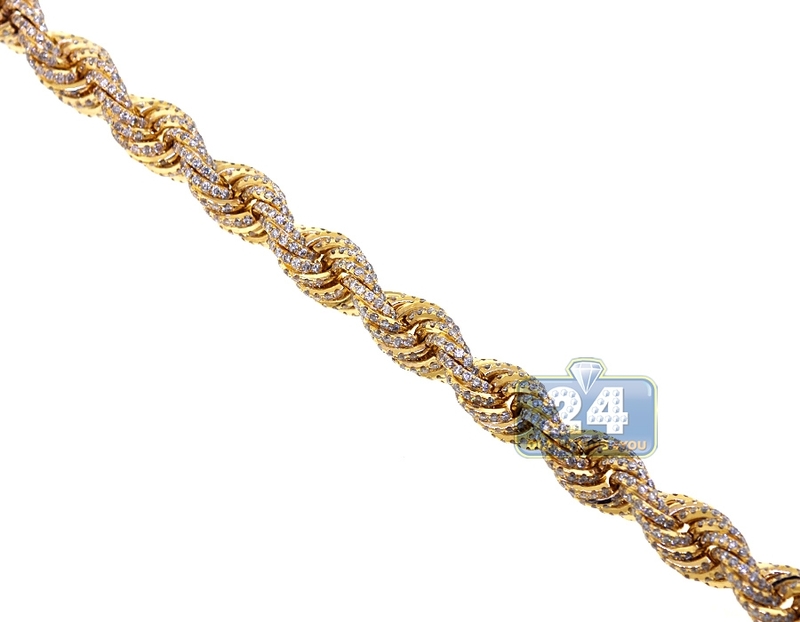 Mens Diamond Rope Chain Solid 14K Yellow Gold 72.80ct 11mm 30"
Stand out from the crowd by wearing our undeniably luxurious diamond rope chain! 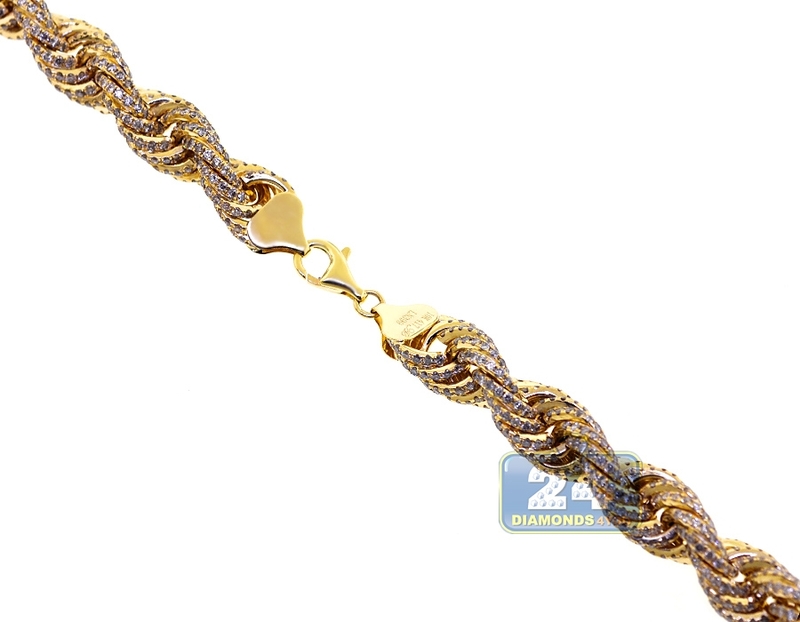 Professionally crafted in solid 14 karat yellow gold, it has highly polished shiny finish. The rope necklace is studded with gleaming white round brilliant-cut genuine diamonds totaling 72.80 carats (SI1-SI2 clarity, G-H color). 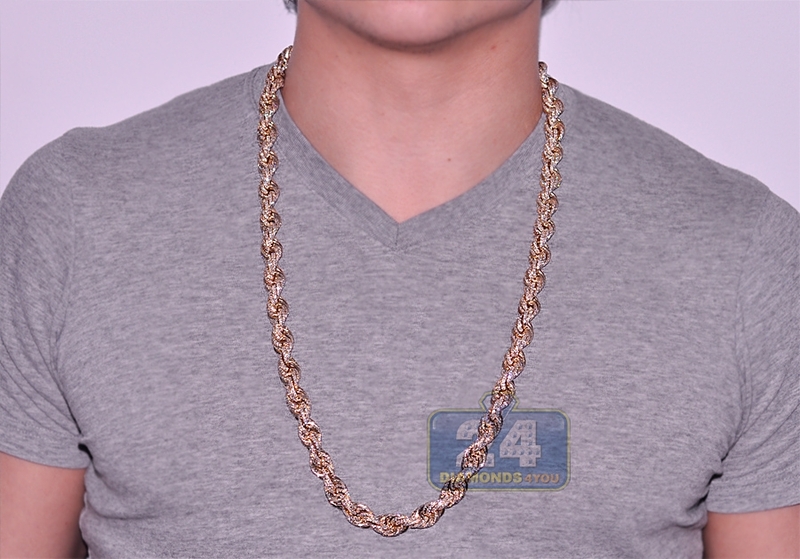 Our men's diamond chain measures 30 inches in length, 11 mm in width, and weights approximately 211 grams. 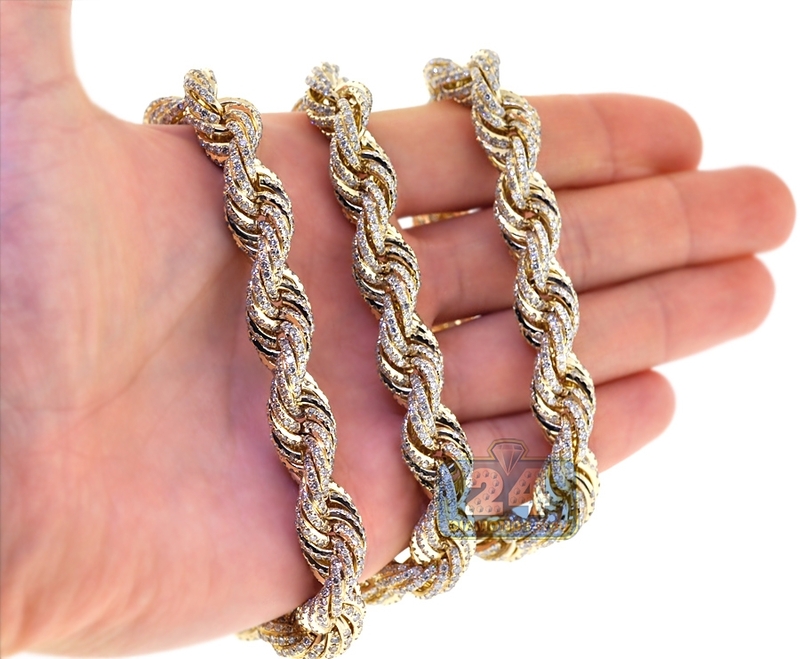 It is also secured by the safest and comfortable lobster claw clasp. 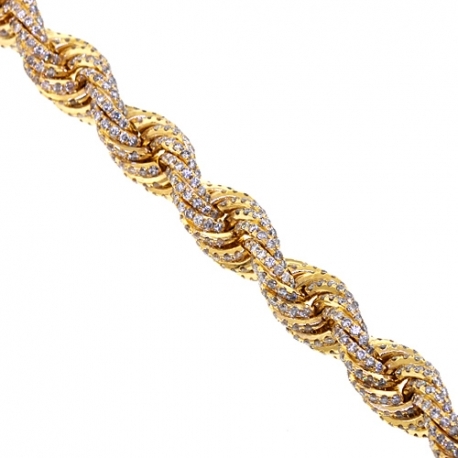 The sparkle of this diamond rope necklace will never end!